Dragons Breath provide LED lighting using solar panels and associated equipment which, has been designed in the UK. Specifically for dedicated areas that require dusk until dawn timed segmented scenarios, giving the customer an affordable product. Designed in the UK and assembled for uses within the rural environment where power supplies are minimal. Where customers have the need to illuminate a required area in situations where health and safety issues are paramount. Solar powered energy saving products, supplied complete with 3-5 year warrantees as standard. We offer complete systems using grade ‘A’ components, that are UK designed and assembled to match localised requirements. These systems provide a green footprint for many requiring a reduction in carbon saving. All of our light units can provide a method of substituting existing sodium power and emit a minimum pollution to the environment. They are a clear sky alternative. Solutions to correspond with vernacular choices associated with: car parks and walkways. If you need lighting for uses such as avenues, equestrian uses, driveways or bridle paths. We offer slim line equipment. Allotments, moorings and marinas, Schools, farms, golf clubs can be tailored to match lux outputs. Swimming pools and hot tubs where mains power sources are inaccessible due to infrastructure not being available we can offer our domestic low level illumination lighting. 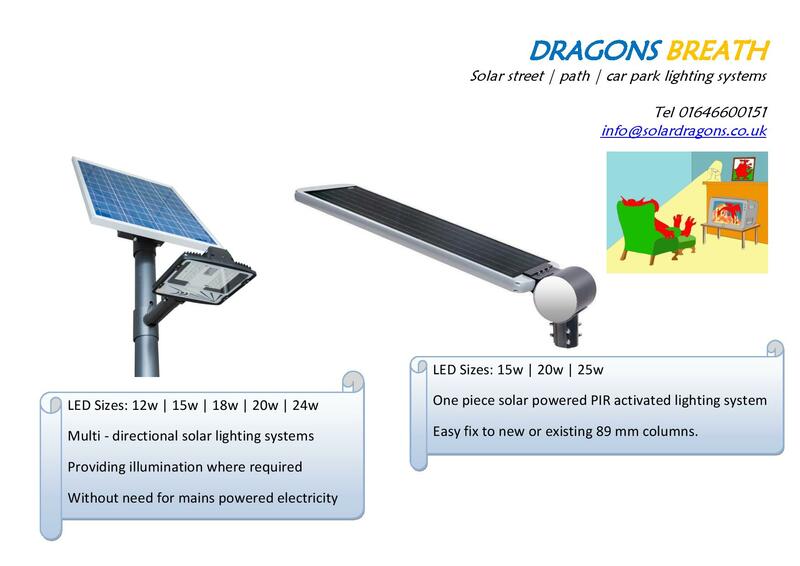 Should you have any questions about, Dragons Breath Solar street light. We will endeavour to answer your question as our LED Street lights are manufactured to order. All of our products are powered by refracted sunlight light, which passes through the solar panel system into deep cell providing long life battery systems. Each one of these efficiently powered light columns provides 100% energy savings. These are designed to cut the excessive use of mains power that is currently being diluted from the national grid system to power existing sodium street light units. By using one of our solar powered light units, you will help to make existing urban light polluting Sodium Street lighting obsolete and a thing of the past. We hope that the solar powered options offered, will be far more beneficial and a less expensive option for the local authorities in the future. Spend to save. Invest in the future. The latest energy saving option, the all in one light unit which is a sealed unit, offering sensor controlled or timed LED light to places where electricity is not available. Easy to install just mechanical fixing no mains powered wires. Dragons Breath Solar powered street lights have been designed to adopt powered illumination using only the sun’s energy. These provide us with the ability to design street lights and road lighting are for uses across the UK. Our aim is to allow customers with the specifications and prices based on requirements please advice details of your lighting needs. We can then provide you the correct information by return. We aim to offer specifications and prices based on your requirements. We offer products for areas that do not have or for some reason are unable to connect to mains powered cables. These are an alternative to grid connection. Breath Solar powered street lights have been designed to adopt powered illumination using only the sun’s energy. These provide us with the ability to design street lights and road lighting are for uses across the UK. Our aim is to allow customers with the specifications and prices based on requirements please advice details of your lighting needs. 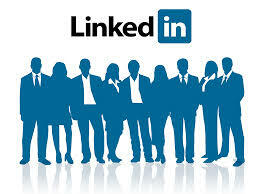 We can then provide you the correct information by return.